Tiffany’s fanpics from Fame musical performance on January 6th & 7th, including a few rarely seen Tiffany-in-fishnet-stockings photos from the show. SNSD Tiffany’s fanpics from her Fame musical curtain call on January 4th. 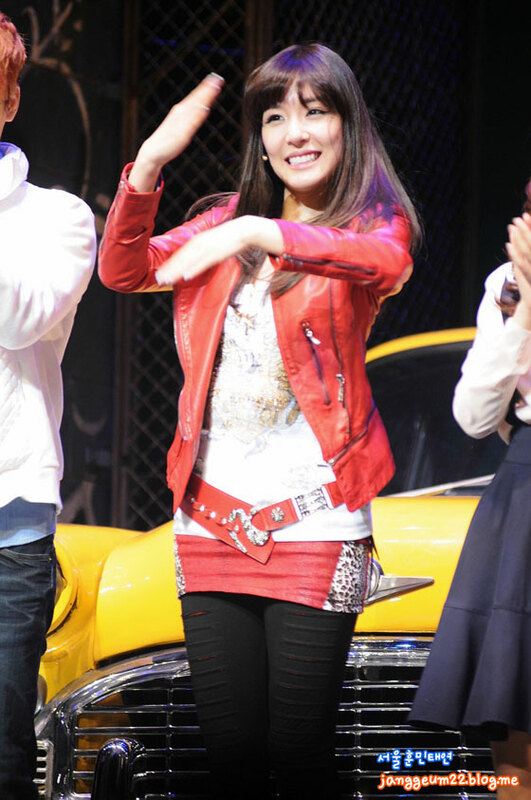 Curtain call of Tiffany’s Fame: The Musical first stage on December 21st. Casual photos from Fame Musical rehearsal, featuring Tiffany of Girls’ Generation. Tiffany makes the photographer a very happy wo/man with her cute faces at the Fame Musical press showcase on November 6th. Click pics for full size (1200×800).